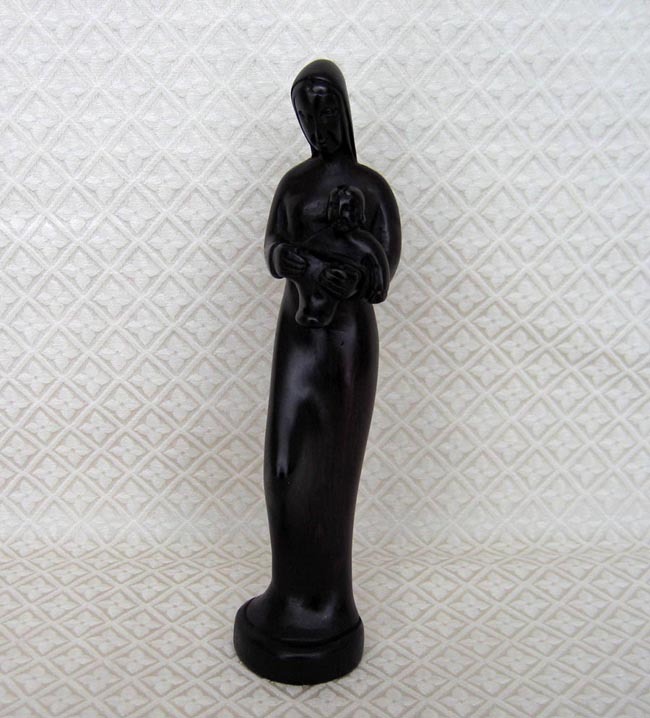 This statue of Mary holding Baby Jesus is carved from ebony wood by Musembi. Artisans like Musembi do their carving during the day, and then often work other jobs (such as security guards) during the night to meet their financial needs. The statue measures 11.25 inches tall. ​The statue was sent to us from our friend Steven, who runs an artisan workshop in a slum called Gikomba near the city center of Nairobi, Kenya. Steven also runs an orphan school to help educate the unprivileged; he works very hard to help others.